(RxWiki News) Quitting smoking is hard, but millions of people have been able to do it, and you can, too. 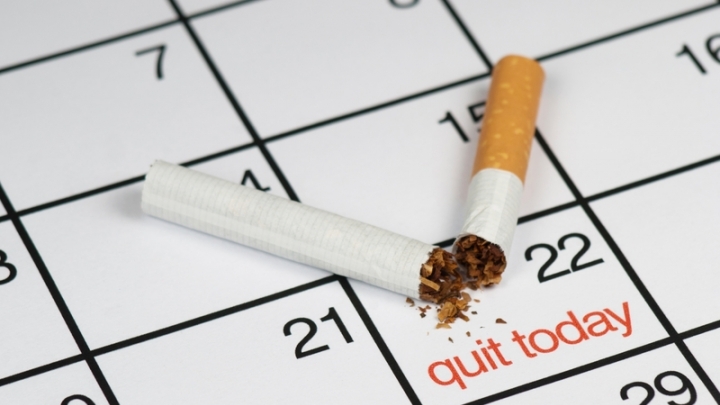 Quitting can improve your health even if you've smoked for a long time. It is NEVER too late to quit! And you are NEVER too old to quit! The sooner you quit, the more you can reduce your risk of having a stroke or developing lung cancer, heart disease or chronic obstructive pulmonary disease (COPD). To get started today, check out the six tips below. Emotional: Stress, anxiety, excitement, boredom, depressed mood, loneliness, happiness, etc. Solution: Call a loved one, exercise or listen to music. Pattern: Drinking coffee or alcohol, telephone conversations, driving, watching TV, taking a break at work, etc. Solution: Break the association between the activity and smoking. Social: Seeing others smoke, parties, bars, celebrations, etc. Solution: Avoid places where people smoke. Withdrawal: Craving the taste or smell of cigarettes, needing to do something with your hands, etc. Solution: Stay busy, chew gum, drink water and breathe. B) You'll also need to prepare for and fight cravings. For example, if you need to keep your hands and mouth busy, try holding a straw in your hand and breathe through it. Or play with a paperclip or coin to keep your hands busy. If you smoke to improve your mood or relieve stress, practice deep breathing to calm down or do some pushups to blow off steam. You can also turn to friends, family members and counselors when you need someone to talk to. C) Rid your home and car of cigarettes and smoking reminders. D) Do not switch to another product that contains tobacco. E) Plan rewards for reaching your milestones. Now it's time to put this all on paper. Print a quit smoking contract and write down your reasons for quitting. You can have more than one reason. Keep this document with you so you can refer to it and remind yourself why you want to quit smoking whenever you have the urge to light up a cigarette. Next, tell your family, friends and coworkers that you have decided to quit smoking. You can even ask them to remind you why you decided to quit smoking when you pick up a cigarette or have an urge. Having a support group is important to ensure you quit and remain smoke-free. Research shows that if you set a quit date within the next two weeks, you are more likely to quit successfully. So mark your calendar. If you can't smoke at work, you might choose a day you know you’ll be at work as your quit date. If you plan to use medications to help you quit, be prepared. Ask your pharmacist how to use them and have them on hand for your quit date. 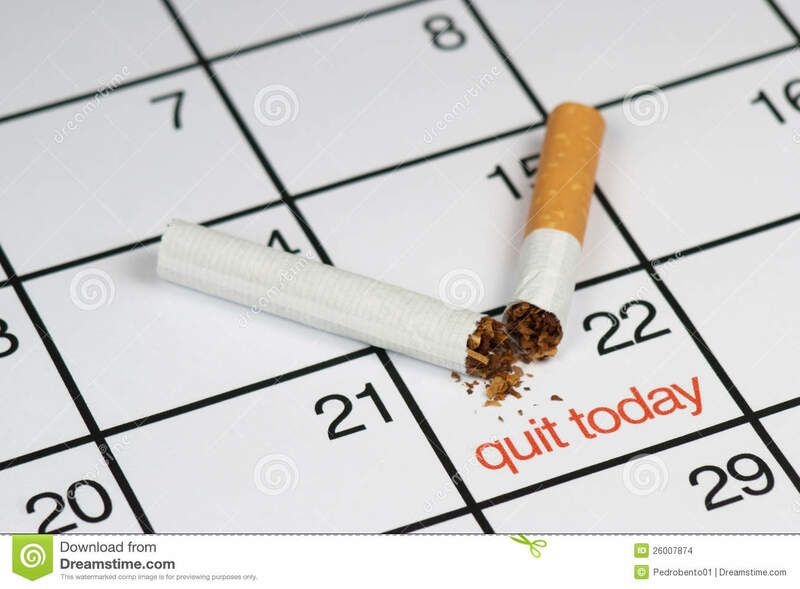 Keep yourself busy on your quit day, avoid triggers and stay positive. Gaining an understanding of the reasons you smoke can help you understand the best ways to quit. Common reasons people start smoking again are withdrawal symptoms, weight gain and stress. Quitting may require several attempts, but don't be discouraged. The best thing you can do for yourself is keep trying. For additional support, reach out to your health care provider.